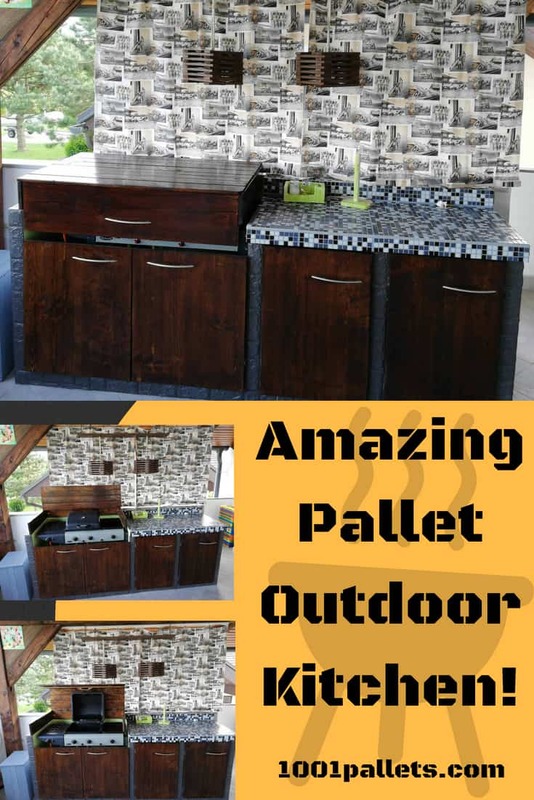 Amazing Pallet Outdoor Kitchen For Under 300 Dollars! To build this pallet outdoor kitchen, we used Siporex blocks for the base structure. I added a mosaic countertop. 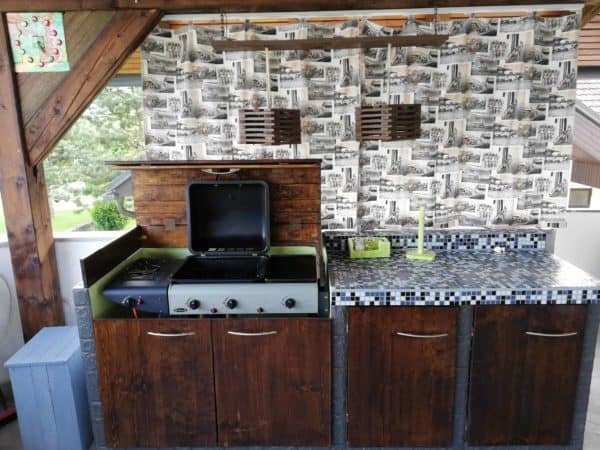 The folding grill cover is pallet wood and tucks neatly behind the grill cover. I made the lights and little wall clock using pallet wood too. 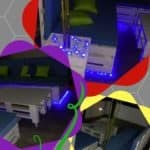 Altogether the project cost me approximately 200€ (approximately 240$), and I built it in a week. 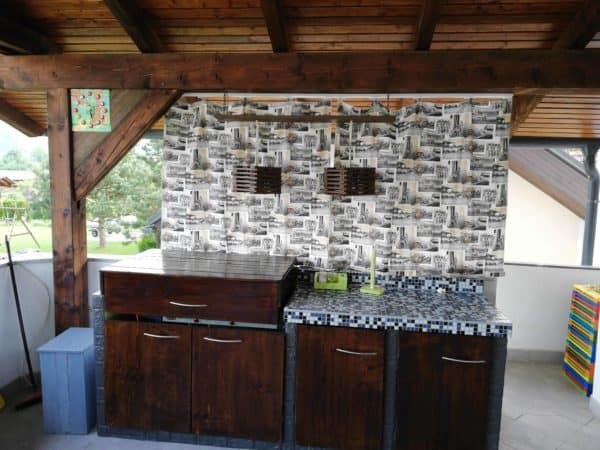 Build a Pallet Wood Outdoor Kitchen and add wow factor to your outdoor living area! 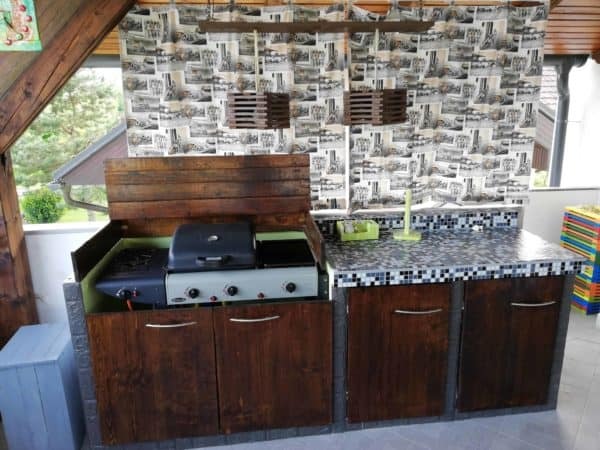 This outdoor project features pallet wood for the cabinet doors, grill cover, lights, and clock. The barbecue cover lifts/folds out of the way behind the grill lid. I used a low-cost pendant light kit and pallet wood to build the lights.